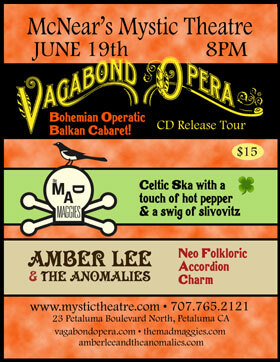 Next week on Friday night, June 19 we join Vagabond Opera and Amber Lee and the Anomalies for a “Summer Solstice Cabaret” — a night of top-notch musical entertainment at the Mystic Theater in lovely downtown Petaluma. If you love accordions, and who doesn’t, all three acts feature an accordionist. Yay! There are dozens of good restaurants within walking distance of the theater including McNear’s right next door. Dempsey’s is the local brew pub about a block away. They are renowned for their award winning beers. If sushi is your thing, Hiro’s, located a half a block away, has an excellent menu and a large selection of fine sake. This year’s Summer Solstice happens in the early morning on June 21st. 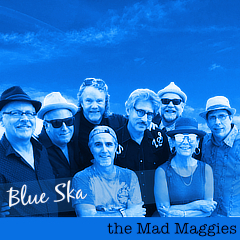 accordions, cabaret, dance, live music, Petaluma, summer solstice.